Welcome to the Spring 2019 Season for the Manheim Township Boys Youth Lacrosse Club. We are excited to start yet another season in the long tradition of success this club has enjoyed. It is the purpose of this letter to prepare you, the parents and players, for this upcoming season. Coach Aldo Romano has been coaching lacrosse for the last 5 years, most recently as the 7/8 Head Coach for the 2018 season. He played high school lacrosse on Long Island and continued playing on the Binghamton University Club team. 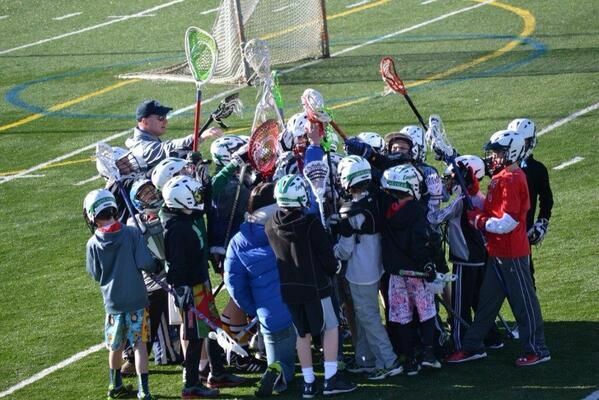 Coach Aldo is a US Lax CEP Level II Certified Coach and the current President of the MT Boys Youth Lacrosse Club. We have been very fortunate to have the services of Eric Graupensperger as the head coach of the 5/6 team for the last 9 years. Eric is a MT graduate, playing lacrosse at MT and then continuing at Washington College in Maryland. He has been a coach with us for the last 9 years as well as many local clubs including Low and Away Lacrosse and IM3. Eric is a US Lax CEP Certified Coach. Additionally, there is an app for phones (under LeagueAthletics in your phone’s app store) that allows you to quickly check schedules, receive notifications, and see rosters. If there is a logistics issue, please email the team manager or head coach. If there is an issue that you cannot find an answer to on the website, please contact Aldo Romano, our Parent Communication Director. I have attached/included a link to the Manheim Township Athletic Department Parent/Communication Guidelines (https://www.mtwp.net/download?d=4271) . Please review this to allow a common understanding of effective communication policies within youth lacrosse. The Manheim Township Boys Lacrosse Club is an inclusionary non-profit organization that promotes the sport of lacrosse to youth residing in or attending a school located in the Manheim Township School District boundaries through grade-level programs open to all interested participants, by teaching good basic fundamentals, by developing players through game skills, by promoting good sportsmanship, and by respecting all participants and focusing on teamwork. Our goal is to promote skill development, sportsmanship, team play and love of the sport. To create a challenging, engaging, learning environment where players of differing levels of skill and physical development can learn and enjoy the game of lacrosse. To foster a love of the great game of lacrosse. To prepare individuals to continue to play lacrosse at the high school and college level. The team goals will vary depending on the age group as the boys move from being introduced to the game to developing their skills to preparing for high school lacrosse. Each coach has sent out an email with his specific goals for the season. They will vary from introduction of basic skills at 2/3 to introducing team play at 3/4. At 5/6 more advanced fundamentals of positioning, offensive and defensive philosophy, and clears will be introduced. By 7/8 the basic fundamentals should be in place and the focus is on more advanced play development and the progression of lax IQ necessary to play at the HS level. We have the wonderful opportunity to be participating with US Lacrosse in the development of standard of play and skill development. They have developed a matrix of skills that are expected at each age group of play, starting with introduction to developing to mastery. Ken Fox is on a US Lacrosse committee that is reviewing this. It is expected to be released to the public soon. This will allow us to develop age based norms of expected skill development to produce a coherent Club plan for progressing skills from early introduction at FiddleStix all the way to High School. We are presently using this as coaches and will make this available to all club members once cleared by US Lacrosse. All schedules and communication will occur via the website. Please get into the habit of referring to the website regularly. There will be both email and text reminders of each event (practice/game). These are automated and controlled via your account. You can receive as many/few as you would like. You can link the schedule to your Gmail or iCal calendars as well. Information on how to do this will come in an additional news article posting. Presently the teams are all scheduled as one team for each age group on the website to allow everyone to receive communications and notifications. The teams will be split once the practices start. Uniforms will be handed out once teams are determined. 10U: We usually have two teams. The first few weeks will be for evaluating players so we may divide into 2 teams( MT Blue and MT White) equally divided by skill level. Teams will be determined one week prior to our first game. All players will participate in all scheduled league games. We may schedule a non-league game where only 4th graders and some kids we feel can compete safely will be asked to participate. Other leagues are aged based which potentially could match an 11 yr old against against an 8 yr old. That can create quit a unsafe size discrepancy. Your child's SAFETY is always our first concern. We also will participate in this year's Clash for the Cup Tournament where all will be asked to participate. 12U: This season we expect to have about 40 players participating and 2 teams within league play. Teams will be balanced and will be determined after about 2 weeks of practices. If Coach Graupensperger feels that there has been a misjudgment and an adjustment needs to be made he may ask a player or two to move to the other team on a permanent basis, not game by game. We view and teach that all 40 players are still 1 team. Practice are run together and many of our drills are run as a whole. 14U: We expect to have enough players to create two complete teams. The LL League is divided by an A/B team format. The players will be split into a Blue team and a White team based on evaluations performed in the first week of practice. This split is expected to be based on grade and skill level. We have learned that with hold backs in many of the schools in preparation for HS play, there is a very large size, age, and pace of play difference between the 7th and 8th graders. Practices are scheduled on the Master Schedule. Your child’s safety is our primary goal. As the weather changes, please be aware that practices may be cancelled on short notice. As the season starts, please dress your son’s warmly (layers can always be removed). Please provide hydration for them for every practice and game. The boys are expected to be ready to practice at the time practice/games start. Please have them there 15 minutes before practice and 45 minutes before games so that they can get their gear on and be ready. The Coaches will not leave until every child is picked up. Please be sensitive to the non-lacrosse schedules/responsibilities of the coaches and make sure that you are prepared to pick up your child at the scheduled end of practice. League Games are Wednesdays starting at the end of March. Out of league games may be added to the schedule. League games are on Tuesdays beginning last week of March. Out of league games may be added to the schedule. League Games will be Thursdays starting at end of March. There are multiple out of league games to be scheduled. 12U: We do have several tournaments throughout the season and there are different criteria depending on the tournament. The Hopewell Invitational for example is a select team tournament and about 20 players are selected. Players not selected for these tournaments will still have practice at Weaver and will also have an additional game scheduled. All players will participate in the annual Clash for the Cup that we host at Manheim Township but we will have an "A" division team and a "B" division team. Players will have ample opportunity in practices and games to display their abilities and improvement in order to provide themselves with the best opportunity to play in the select tournaments. 14U: We typically have 3 tournaments and several play days scheduled for the 7/8 team. At least one Tournament will be for select players only the others will have an A and B Division. We will participate in the annual Clash for the Cup with an "A" division team and a "B" division team. Players will have ample opportunity in practices and games to display their abilities and improvement in order to provide themselves with the best opportunity to play in the select tournament(s). Raffle information will be posted on the website under the Fundraising tab. It will be coordinated on a team by team basis with a Coordinator assigned to each team. Once this coordinator has been assigned, you will receive emails explaining the process and timing of the fundraiser. Running a large club such at the MTBYLA requires a great deal of time and effort. We are always looking for volunteers to assist with events. Please reach out to the team manager if you are available and willing to assist. Both parenting and coaching are extremely difficult vocations. By establishing an understanding of each position, we are better able to accept the actions of the other and provide greater benefit to children. As parents, when your children become involved in our program, you have a right to understand what expectations are placed on your child. This begins with clear communication from the coach of your child's program. 3. Locations and times of all practices and contests. 4. Team requirements, i.e. special equipment, off-season conditioning. 5. Procedure should your child be injured during participation. 6. Discipline that results in the denial of your child's participation. 3. Specific concern in regard to a coach's philosophy and/or expectations. your child wishes. At these times discussion with the coach is encouraged. 3. Concerns about your child's behavior. as those listed next, must be left to the discretion of the coach. resolution to the issue of concern. matter can be taken care of at that time. appointment with the parent, student-athlete and coach. of this nature do not promote resolution. chance for success during adulthood, these programs have been established. Manheim Township athletic program less stressful and more enjoyable. Many parents and players often ask, "How can I/my son get smarter as a player?" The answer may seem complicated: extra coaching, reading books, watching videos. While all of these will help, they are very time consuming, complicated, and expensive. Luckily, we live in a digital age and there are options available. Every high school, college, and club coach I talk to recommends that you watch more lacrosse. Watching lacrosse played at a high level will improve the Lax IQ of everyone. 2. 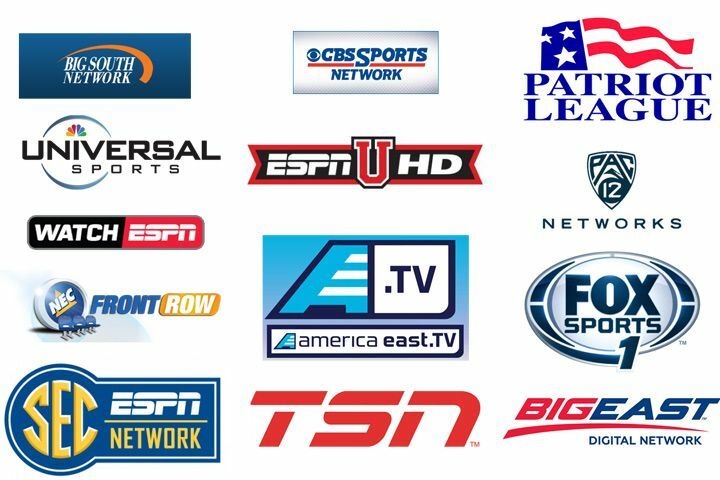 ESPN3 - if you have ESPN, you can use your cable access information to access espn3 on your computer or Roku. They will carry over 100 games this year. They will also archive 1-2 weeks of games for viewing later. 3. Kudda.com - broadcasts select Baltimore and Philly High School games. Booker Corrigan is the announcer and the kids find him hilarious. 1. Accuracy of ball movement - all the passes are accurate, there are few dropped balls. This is why we push wall ball and line drills. This should be possible at 5/6 and older. 2. Off Ball Movement - watch how when a play starts, everyone is moving, not just the player with the ball. Most goals come off of a pass to a moving player near the goal, not a dodge and shoot play. 3. Defensive Positioning - watch how the defenders all approach from the top side to take away the middle of the field. 4. Clears - watch how the defenders and defensive middies spread out and move to open lanes to clear, primarily the way the attack men come up to midfield to provide a release. 5. Communication - listen how the players talk constantly. Even in small doses, you can learn a lot about lacrosse fundamentals from watching it on TV. Most of the announcers are trying to grow the sport and their commentary will be appropriate for our age groups and parent levels.